Until 1948 the firm was the exclusive broker for the UK shipbuilding industry. Under the leadership of the Rugg and Cook families, the firm acted as honorary broker to the Ministry of Defence for nearly 100 years. More C.H. Rugg history here. Investor in modern ocean-going ships. 51.687 dwt bulk carrier built in 2010 by Oshima Shipbuilding in Saikai, Japan. Fixed on a 11-13 months charter to Cargo Levant, Bremen with commencement 11th October at USD 11.550 gross per day. 50.806 dwt bulk carrier built in 2010 by Oshima Shipbuilding in Saikai, Japan. Fixed on a 7-9 months charter to Western Bulk Carriers with commencement beginning of September at USD 10.750 per day. 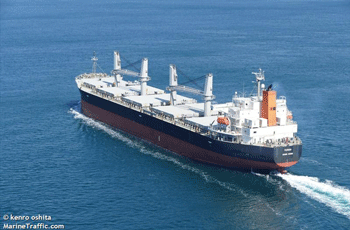 Fixed on a 10-13 months charter to Western Bulk Carriers with commencement 11th May at USD 11.500 per day. 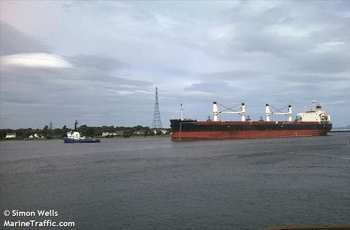 34.734 dwt bulk carrier built in 2011 by Daoda Heavy Industry in Qidong, China. Fixed on a 6-8 months charter to Falcon Navigation A/S, Copenhagen, with commencement 17th September at USD 11.000 gross per day. 33.739 dwt geared container feeder ship built in 2002 by PS Werften Stralsund in Stralsund, Germany. Fixed on a 2-5 months charter to CMA-CGM with commencement November 26th at USD 9.800 per day (less 4,75%). 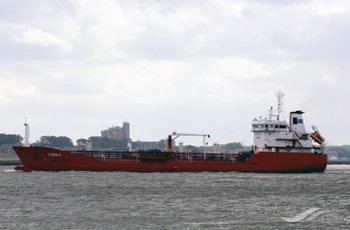 11.259 dwt chemical/oil products tanker built in 2008 by Dearsan Shipyard in Istanbul, Turkey. ENI has prolonged the charter of Meligunis M until August 2019. 8 years bareboat charter to Navalmed S.R.L. start July 2017 at USD 4.000 per day (less 1%). 27.130 dwt container ship built in 2008 by Zhejiang Shipbuilding in Ningbo, China. Fixed on a 4-7 months TC to Jebel Ali with commencement 18th November at a rate of USD 8 100 per day less 5%. 23.287 dwt container ship built in 2004 by Wenchong Shipyard in Guangzhou, China. Fixed for 5-7 months with CMA CGM with commencement 27th August at USD 9.900 gross per day. 5.800 dwt Chemical tanker built in 2007 at Istanbul Shipyard, Turkey. Fixed on a 30 months time charter to North Sea Tankers (Sinochem) with commencement February 2019 at USD 7.850 per day for first 12 month, then USD 7.900 per day thereafter. 5.800 dwt Chemical tanker built in 2006 at Yildirim Shipyard, Istanbul, Turkey. Fixed on a 24 months time charter to North Sea Tankers (Sinochem) with commencement February 2019 at USD 7.850 per day for first 12 month, then USD 7.900 per day thereafter. 73.666 dwt product tanker built in 2008 by New Times Shipbuilding, Jingjiang, China. Fixed on a 12-15 months Time charter to Clearlake Shipping Pte. Ltd with commencement December 2018 at USD 10.500 per day plus 50/50 profit split. 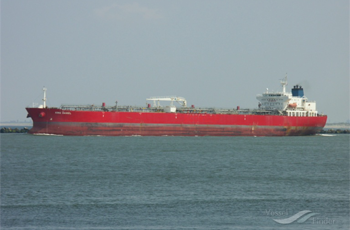 73.720 dwt product tanker built in 2008 by New Times Shipbuilding, Jingjiang, China. Fixed on a 15 months Time charter to Penfield Marine with commencement December 13th at a TD21 Index linked/Penfield pool linked charter rate, the first 30 days earnings have been 16,386/day. 35.925 dwt container ship built in 2004 by Gdansk Shipyard in Gdansk, Poland. Fixed on a 10-12 months charter to CMA-CGM with commencement 6th June at USD 11.200 per day (less 4,75%). Owned directly or via sister companies.